The murder was shocking in its brutality: a thousand-yard high-velocity shot that left an innocent nineteen-year-old babysitter dead on a Mississippi plantation. At first, police called it a hunting accident. But the killer left a calling card—for ex–U.S. marshal Winter Massey. And when Massey investigates, he knows exactly who the shooter is. He just doesn't know why. . . .
Once Massey dueled an elite assassin. Now, in a land of fading plantations and a booming casino industry, this sworn enemy has resurfaced to play a cat-and-mouse game of revenge. 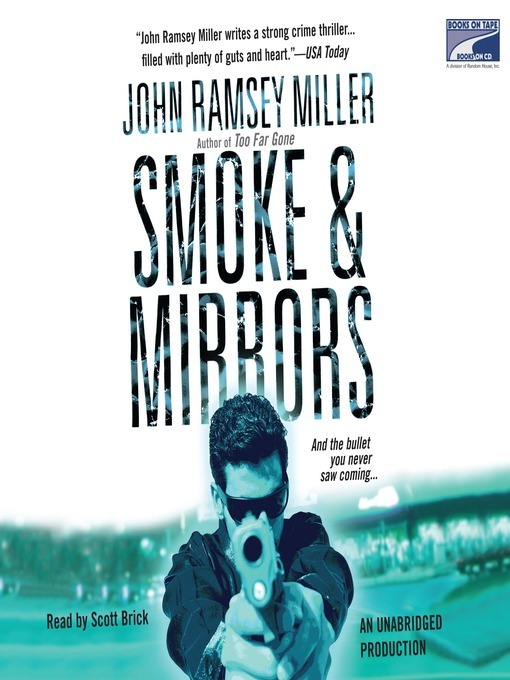 While Massey ignites a hunt for the killer, another murder is committed and violent secrets are exposed inside a powerful gambling conglomerate, in the star-crossed family of a beautiful landowner, and even within the FBI itself. . . . For Massey, the hunt for the sniper is personal. But the more he learns, the more he suspects that he's being blinded by a whole lot of smoke and mirrors—behind which lies the most explosive secret of all. . . .